You’ve all waited so incredibly patiently for 3 months, and it’s finally here, the Pinkfresh Studio October Release!! 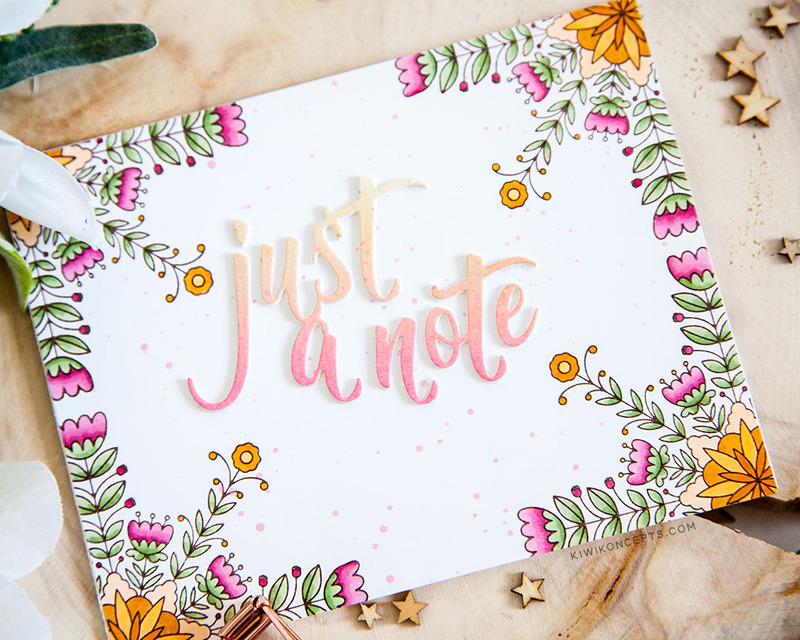 This release is packed with all sorts of yummy florals and beautiful dies, that you’re heart will feel pitter patter! Today, I’ll be showcasing the Folk Mandala stamp and die set in card. As clean and simple as this card may appear, it was a coloring intensive card as I got quite ambitious! I stamped the folk mandala in each corner of the card in a dark brown hybrid ink, then colored it with copic markers. It may have taken awhile, but the result were beautiful. I can see this working out to be a great one layer card, but I am addicted to dimension, so I had to add just a little bit with the sentiment. 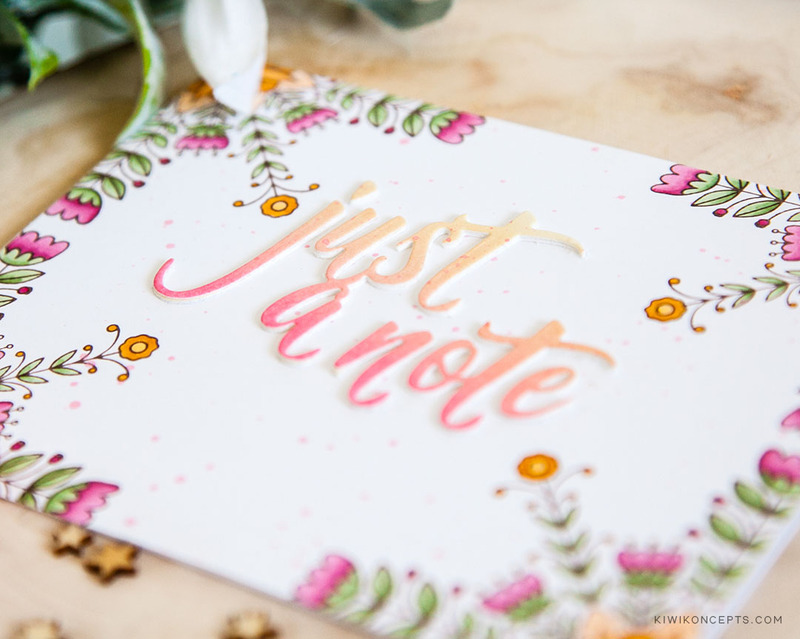 The folk mandala dies include this beautiful ‘just a note’ sentiment die. I die cut and added 4 layers of it, with the top layer being an ink blended piece with Worn Lipstick and Antique Linen distress oxide inks. I also used the Worn Lipstick ink to add a touch of splatter to the card. 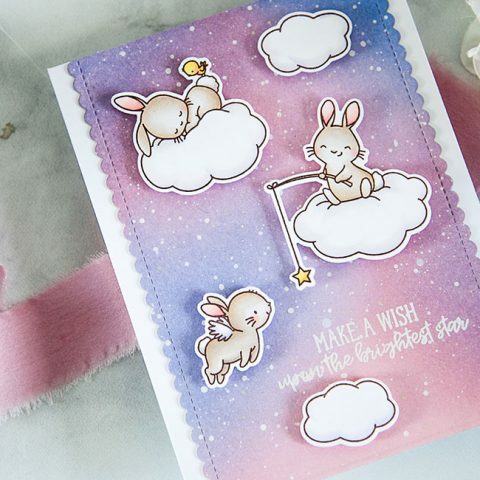 This is just perfect for an every day kind of card to send! There are tons of prizes all along the hop every stop of the way! For this stop, be sure to leave a comment below by Saturday, October 13th at 5:00pm CST to win a $25 Pinkfresh Studio gift card! Winners will be posted HERE on Sunday morning by noon CST. The winner will be picked from the comments on this blog post, and will be posted to the Pinkfresh Giveaway Page on Sunday, October 14th. Make sure to check there if you’re a winner! Today’s post is also part of the Pinkfresh October Release Blog Hop! 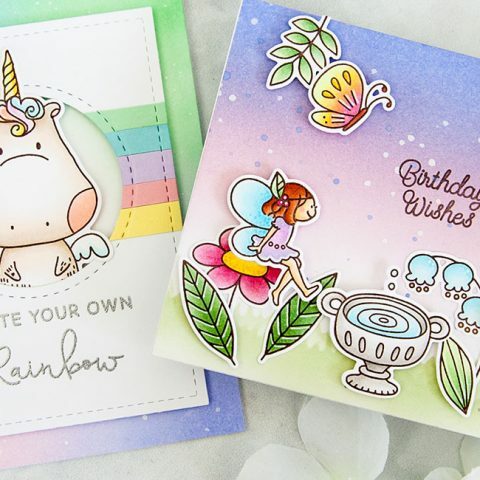 You can find the full InLInkz Blog Hop List below with all our design team members as well as special guests who are joining us in this release celebration! So pretty! I love the font!! WOW it’s so pretty!! I love your style and use of color!! Teach meeeee! This card is stunning!!!!!! My compulsive, “see a stamp gotta buy it disorder” is revving up in high gear. LOL. Keeway, this card is so cute! I love the way you framed with the florals! So fresh and pretty! Such pretty soft colours on your card & so much detail to work within. Well done Keeway. Love it! Simple and elegant! Beautiful colors! What a talent you are! Just beautiful! Such a pretty and dainty card. I loved how you framed in all of the flowers. It’s just beautiful. It would be such a lovely card to receive. Thanks for the inspiration! Oh my goodness, Keeway…this isn’t ‘just a note’…this is a work-of-art just-a-note! Gorgeous and definitely smile-making! You clearly had a ton of fun designing this; it’s infused with joy! what a super clever use of the mandala stamp! never would have thought of it. very beautiful card. I love the simple elegance of your card. Thanks for the inspiration. That is gorgeous! That’s such a cool way to use that stamp, I love it! Beautiful card from a fabulous release! Love the soft pastel sentiment. The design on your card is really cool. In the words of my 11 yr old daughter, this was another awesomesauce release! Love it all and your card is so sweet! Such a wonderful card design! Love the coloring and I’m sure it took awhile to color. thanks for the inspiration. Clever use of the stamp. What a cool way to “point” at the sentiment! Nicely done! 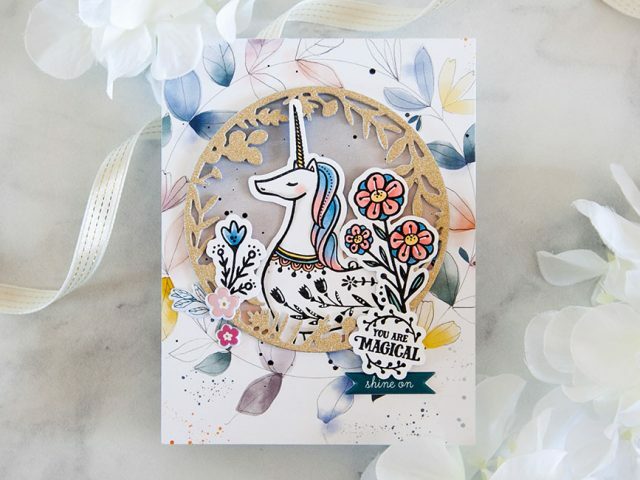 love how you used that stamp to make a border around your card and the coloring of the die cut! I love your card. Simple no fuss card. It’s so warm and comforting. Thank you for sharing. 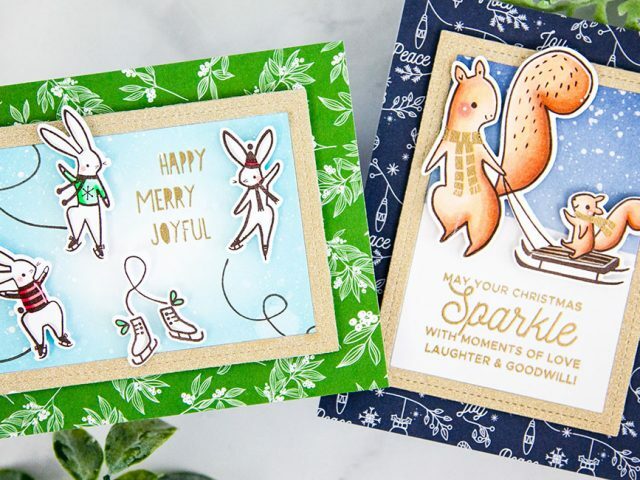 Such a pretty cards – love the colors on the sentiment. Thanks for sharing. So pretty and sweet! Love the colors! What an interesting, unique way to use the mandala stamp set. The versatility you’ve shown is so inspiring. Love your card and the use of the mandala in the corners! This would make a fabulous design for a set of coloring stationery papers and envelopes to use as a gift. I really love how creative you are to use that set in the corners of your card! It’s so beautiful! Lovely card! That folk mandala stamp and die set is amazing! How creative! I also love the mustard and fuschia color combo. It is so striking. Great card, love how the mandala points to the middle and the mustard and fuschia colors. Thanks for sharing. I love how you used the Mandela stamp in the corners. I agree it could alone, but I too like dimension. Great alternative way to use the Mandela stamp set. I always like to see stamps used in ways other than the “Normal” way!! Really like your color choices!! Fun use of the mandala stamp! Thanks for sharing. I like your fresh approach to using the Mandela stamp. Great card. What a pretty and delicate card! Love this release and your designs!! I love your coloring and the ombre effect on your sentiment! Your card is so pretty!! Creative use of the Folk Mandala stamp. This was well worth the time! The card is amazing! Love the mandala set and the card you made from it. I love the idea of stamping the pattern in the corners and your coloring is beautiful!! Very simple yet elegant card,..nice job. I love this huge release! Really love how you used that stamp set! It makes a perfect frame on your card! Love, Love, Love all the stamps on this release. The cards on the hop are georgeous. Keeway, I love how you framed the sentiment with the flowers. Wow! I know this took some time to color, but it is fabulous! I love how you used the folk mandala in the corners to create the floral frame. As soon as the page loaded and I saw your design, I knew I would love it! Love the contrast of the florals with a geometric placement around the edge. Pretty card! 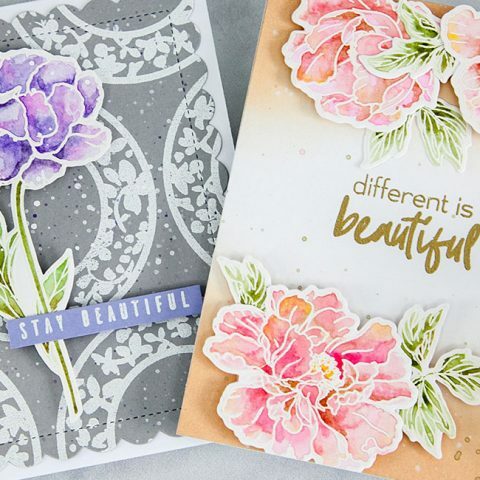 The stamp & die mandala set is my pick of this release too! How interesting to stamp around the edges/corners! Great coloring too! Pretty card. Love the colors you chose and the way you used the mandala stamp to create a frame. Thanks for the inspiration! So very pretty!! Love all the colors-so cheerful!! What a beautiful twist you have put on the Mandala stamp set, and beautiful colour choices! Amazing release from Pinkfresh Studio. Your cards are so beautiful and inspirational. I love the colours you use. Such a pretty card, I love the soft colors and the unique way you used the Mandala stamp set! Very clever! Thank you for sharing! Super creative card using the mandala stamp. Gorgeous! Beautiful card! I love the color variation on the sentiment! Gorgeous card! Loving everything about this release! Lovely card, never would have guessed a mandala was used. I love how the Folk Mandala die set is so dainty! Beautiful card! Love how the flowers frame the sentiment. Love the card, especially the way you blended 2 inks on the die cut! Such pretty cards! I love this entire release! This is gorgeous! I love the soft colors! This card is stunning! What a unique way to use the Mandala stamp, so creative. This is a really great release. Wow, this is a really beautiful card! I love how you used the Mandala stamp just in the corners. It was definitely worth the time you put into coloring, because it is so pretty! I LOVE how you framed the card with that stamp, such a great design! Wow, beautiful! Fabulous coloring. I love how you used this stamp. Keeway, your way with colors and coloring is incredible. Love how you used mandalas to frame your card. 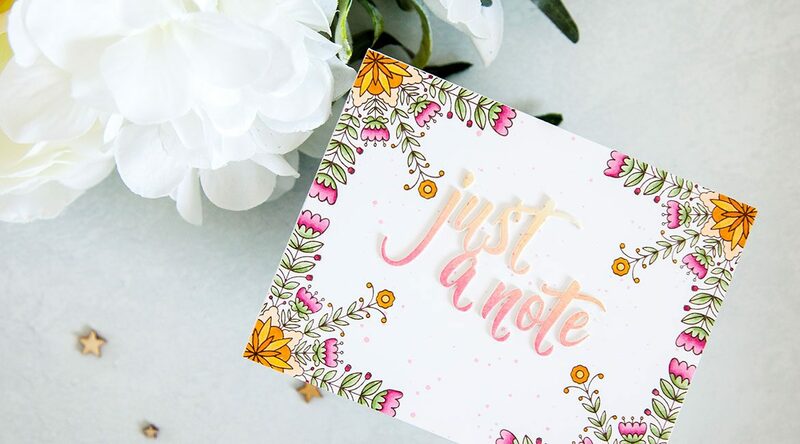 Just A Note Die-cut is a perfect match for your design. Beautifully done! Such a lovely and very precise design, Keeway, really gorgeous! Thanks for this fab inspiration! Such a pretty card. Anyone would receiving this would just love it. The coloring is gorgeous! Such a cool way to use the mandala stamp! Very pretty. I like how you framed the sentiment. This card is gorgeous! I’m really loving this release by Pinkfresh Studio! Now that is a delicious card. (Can cards be delicious? I’ve decided they can.) It’s nice to see the mandala colored in instead of just stamped in. It’s also nice to see it as a border stamp; I’m not sure I would have thought to use it that way. Thanks for all the fun ideas! Gotta get this something from this great release. Just hard to figure out which one to pick. Your card is stunning! You are so clever to use the Madala images in such a perfect way! 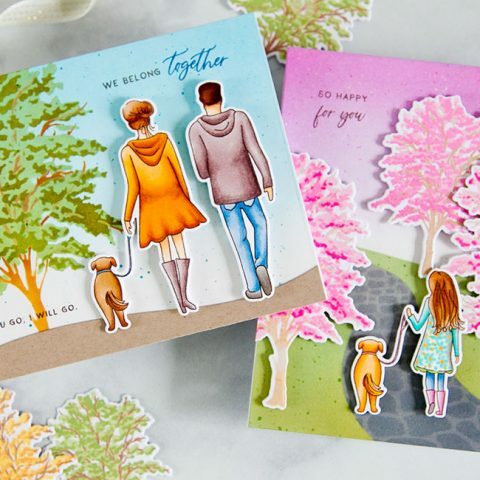 Am in LOVE with all the newest florals and fabulous die cut sentiments! Love ❤️ your simple and happy card! Your card is simply stunning! I love your color choices and the softness of it. You really did do an amazing job. Simply beautiful! 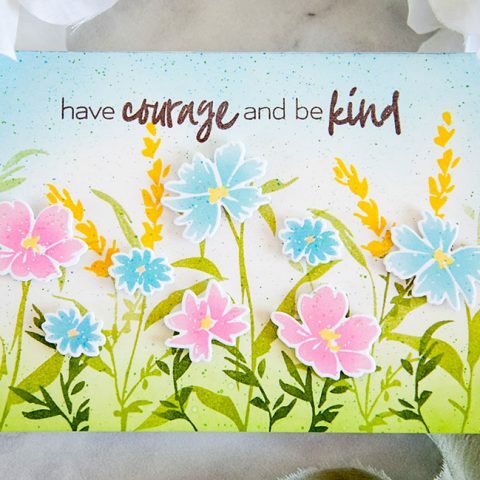 I love how you used the stamps to showcase your sentiment and the color combination you used! 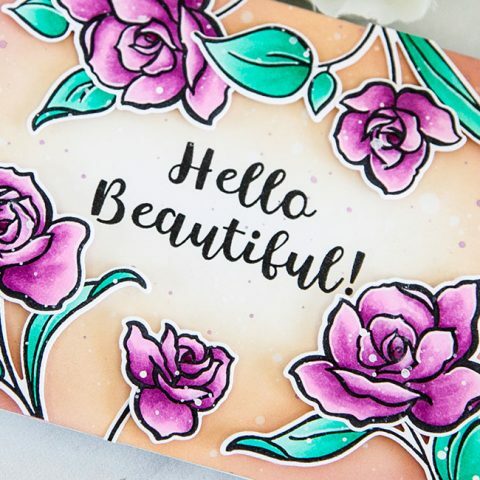 Your card is stunning, your design is beautiful and so is your colouring! I love the way you added dimension with the sentiment and the ink blending you did on it looks awesome. I think the entire Pinkfresh release is really amazing! Love this use of the mandala stamp — great idea to use it in the corners instead of as a round stamp. Love the coloring, too! Such creative use of that stamp set, and I love your blended sentiment! So pretty! 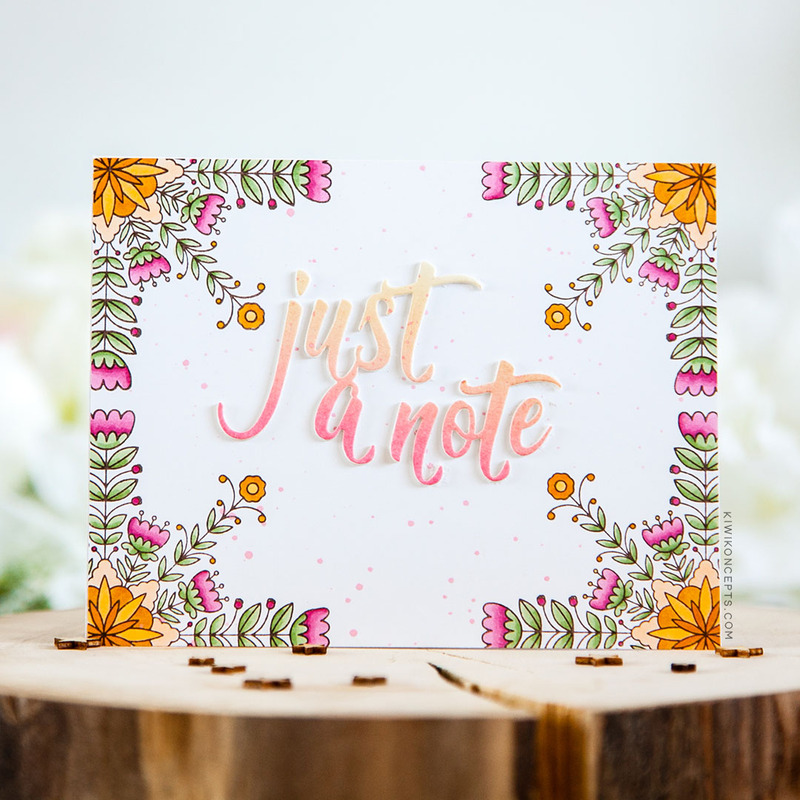 Oh I love how you used these beautiful florals in the corners of your card to provide the most beautiful frame for your sentiment! Such a creative touch. I love the bright colors you used! You are SO RIGHT – my heart is going “pitter-patter” for every single thing in this release! 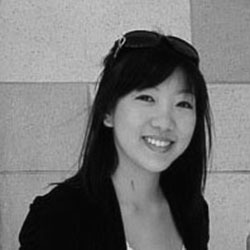 Love your example card! Very pretty! Simply delightful! Love how you did this! Fab use of the mandala as a border to frame your card. Thanks for sharing your creativity. I love everything about this card—the colors, the design–it’s gorgeous! luv your design AND luv the fine lines of that stamp!! Gorgeous sentiment and a fabulous design for your borders! LOVE your beautiful card… a favorite!